And so we come to the final Favourite Things Friday for 2011. This time next week we'll all be up to our eyeballs in last minute Christmas preparations, unless you're one of those organised types that has had their crap together since about October. If you happen to be one of those people- I hate you. I've finished my Christmas shopping but I haven't started wrapping anything yet. Among my favourite things for this week is the fact I'm still mostly sane despite a crazy week at work (one more day until the weekend whooooo hooo!). I'm missing hanging out with you guys and can't wait until I have time to pay you the attention you deserve again while I'm on holidays. Holidays ....I just want to keep saying that word. Who wants to bet I'm going to be writing blog posts bitching and whining about being bored by the end of week 3 ? This week has been all about working and quilting. I realised this morning that the last time I finished a full sized quilt was in August! So my favourite this week is ultra sweet. The No Frills Quilt is finished ....Ta Da! I decided on the quilting about three minutes before I did each section so we have straight line, echo quilting and some random"organic " stuff going on in the borders too. I want to keep this one for myself....I really do. I love those fabrics. While I was quilting this I decided I hated it. I kept repeating "It's not over until the binding is on". And once it was washed and chucked in the tumble dryer and came out in all it's crinkly glory I fell in love with it. I think my sister in law will too. It's very "Brooke". No frills and no fuss. There has been lots of other crafty activity going on around here as well but the icing on the cake is that this week "A Day At The Beach" got finished too. I know! Two quilts in one week. I rock. Sharon the quilting guru did an amazing job and quilted it using a subtle variegated thread to represent waves. Thank you Oh mighty Quilting One. She always makes my quilts look amazing. My nephew is going to LOVE this. I love this! That quilting is so beautiful and makes those solids look ultra special. And you know what ? I think I can squeeze one more quilt finish in before Christmas if I try really really hard because the Merry Go Round quilt is ready for binding. Finally, to everyone who has linked up , commented and played along with the Favourite Things Friday linky party in 2011, -Thankyou. I really enjoy popping over and seeing your favourites and appreciate you taking the time to write about some of your favourite things. It's always one of my favourite things for the week. Favourite Things Friday will be back for 2012 on January 6th. Link away. You know what to do ! I absolutely adore the combination of blue and brown - I call it chocqua! Beautiful quilt. You are the bomb! Woohoo, great job at getting things done! I love all the blues, doesn't it feel awesome to finish things? When I get my quilting machine set up, I'm going to tackle the pile of quilt-tops that's been waiting..... I can't wait!! I love both those quilts. The border on No Frills is fabulous! Pretty sure you will NOT be bored during this holiday break. And if you are email me and I'll think of something for you to do! Just think of all that lovely stash you have to play with!!! Your quilts are a feast for the eyes. I love 'No Frills'. Thank you Shay for hosting FTF. Amidst all the laughter and fun you gave us a platform to think about what we are grateful for and what makes our hearts sing even when we thought there was nothing that particular Friday.Focusing on our Joys in life ia a very worthwhile pastime. You are very special person Shay.It was wonderful visiting everyone else's FTF's to see what made their hearts sing as well. Have a great break. I love both quilts! Are you sure we aren't related? I am so glad that you made it through this week with your sanity .. Your rellies are SO lucky, a quilt is the loveliest gift of all and these two are just beautiful! You amaze me with what you achieve! Roll on holidays... Woo hoo! Cool you got a lot done this week! Love the Day at the Beach - with the blues and greens! Beautiful! I am in love with both of them but I have the wanties really bad about that solid one last. That is AWESOME! Awesome quilty finishes!! Congratulations!! I go through love hate relationships with my quilts as I'm making them, I'll have to remember that binding chant. I love your quilts too! 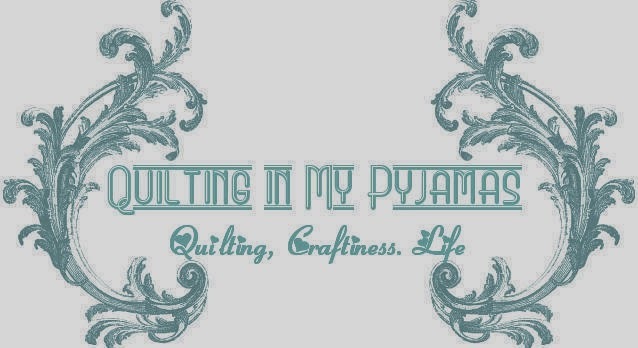 Hi, better late than never!just come across your blog via Clares Craft room, 2 quilts in 1 week im impressed!good luck with the rest of your LIST! And when did you create that solids? I really like that but honestly missed the entire process which tells me just how neglectful I've been online all year. Thank you for being the hostess with the mostess for all of us every Friday. You are awesome. You know, if you finish all of these projects, you can just be lazy for your holiday! I don't think you'll be bored....I hope you'll just enjoy every minute of your well-deserved break! Your quilts are beautiful. I am so amazed at the talent of quilters - all the work that goes into these creations, and then they become an heirloom. Your sister-in-law and nephew are going to feel so special! Great job, Shay! Hooray for you! Finishes are fabulous any day and especially during stressful times. The solids do look spectacular and I love all the blues in both quilts. Gorgeous gifts! I love both of these quilts Shay! Good for you 2 finishes in one week. I too haven't finished a quilt in weeks, I've been so busy with small things for gifts and the bazaar. I really love Day at the Beach. The colors are beautiful. I might have to make a quilt with all solids. Thanks for the inspiration! You chose such lovely shades of blue for both quilts, Shay. The border in the No Frills quilt sets off the simplicity beautifully, and you're right, the quilting in Day at the Beach is perfect. Thanks for hosting FTF for another year, Shay! Happy Holidays to you and yours! I love doing favourite things friday, it's a wonderful excuse to reel off a little list of things that are making me happy. Beautifully don! Way to get some great finished in. I like the No Frills (formerly known as the Blue & Brown) quilt. And A Day At The Beach is amazing. The binding is smashing! Thanks for a year of great FTF's. OMG I love A day at the beach. The colours absolutely shine - makes me this of a blue caribbean sea. Not that I've seen one, but it makes me think of the one in my dreams! Sorry I'm late on parade. Hope I'm forgiven. Thanks for hosting, and see you next year! I absolutely love A Day at The Beach, the colours are perfect, it's just beautiful and I can't believe you made that quilt top so quickly. Love love love the border on No Frills, my favourite colour combination since I was about 10 is chocolate and aqua. You did good real good. I do hope you don't get bored during your break, I'm sure you will be making lots of quilt over the holidays, at least you will be able to have lots of nanna naps too. Yay you - favourites all round. Beautiful quilts completed and ready to be shared. Have a fabulous last week before your big break. I am looking forward to the merry go round she will be gorgeous. Wow! You have been busy. Beautiful quilts, both of them. Can I be on your Christmas list next year? I'm a bit bummed that I missed the last FTF this year, but getting ready for my 2 weeks of vacation meant buckling down at work. Hope you enjoy your holiday. Both projects are super. You DO rock! Your quilts are awesome, as usual. I especially appreciate how you get such great results without mentiong how easy peasy they were to make. I have yet to make an easy peasy quilt, and I thumb my nose at people who do. There are curses and seam rippers and doubts about fabric choices behind each one of my quilts. Let's keep it real, folks!